Earlier in June, a group of students reached out to us seeking advices and help with the 3D modelling and production of their design; a month later, they have done us all proud with their achievements in the Land Rover 4×4 in Schools Technology Challenge in UK early in July. The Land Rover 4×4 in Schools Technology Challenge is an international Science, Technology, Engineering & Mathematics (STEM) project that gives young people aged between 11 – 19 insights into what it takes to become an engineer. 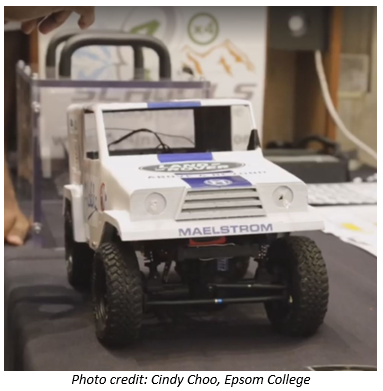 It challenges the young participants to design and build a radio controlled 4-wheel-drive (4×4) vehicle in a team. It also provides an excellent opportunity for them to gain an awareness and understanding of project management – from pitching for sponsorship, marketing for their team, time management to resources management. Not merely building the entire vehicle, their vehicle is also required to successfully navigate and complete obstacles on an off road test track that is specially designed to emulate the capabilities of a full size 4×4 vehicle. 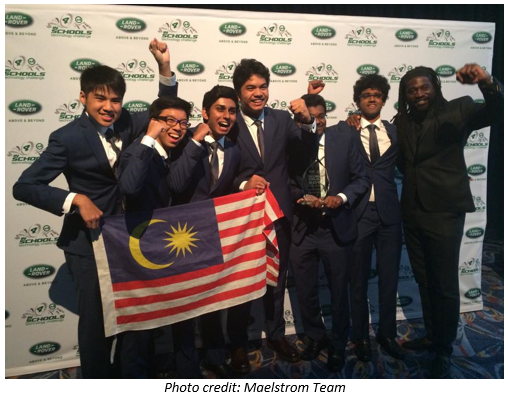 Under such requirement, we would like to proudly give a big shout out to the group, the Malaysian representative – Maelstrom team from Epsom College for being ranked 10 out of 21 teams from 14 countries all around the world and also winning the Best Sponsorship and Marketing Award. It is indeed a great achievement for a start. We are most amazed by their tenacity and resilience that they continue to work on improving their design, reaching out to as many as they can to seek support and guidance. It was truly our pleasure to be able to work with such an amazing young team, sharing with them what we do best, and be inspired by their enthusiasm and spirit. Their journey has only begun and we are most certain that they won’t stop here. Our heartiest congratulation once again to the promising young team and let’s applaud and wish them the very best for their future. On June 24, 2016 (Friday), UTAR IET Student Chapter had organised an industrial visit to IME. There were 40 engineering students from various major that visited us for the first time. 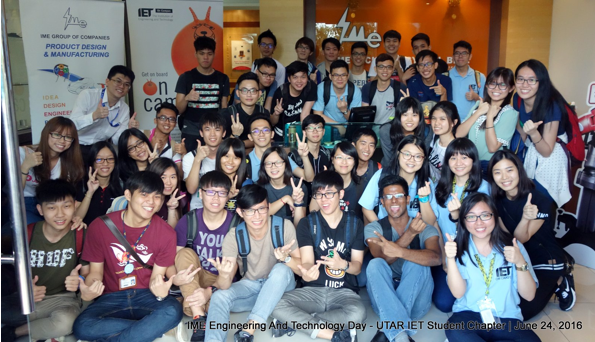 UTAR IET Student Chapter is keen to support students’ early professional development, so does IME. We are glad that these students have the golden opportunities to explore the engineering industries in Malaysia. It is important for students to get out of the classroom and explore product development challenges and solutions in the real world. IME Engineering and Technology Day aims to spark students’ interest in engineering industry by sharing the latest insights in engineering and technology. Also, it enables students to have a clearer sense of their strengths, interests and goals while they were having fun during the industrial visit. Furthermore, it is also the best way to promote STEM (science, technology, engineering, and mathematics) education as STEM are viewed as fundamental elements in the preparation of our next generation. In this 3-hour session, students were talked through the current and future of engineering. They were then split into groups to discover 3D scanning, 3D printing as well as 3D design. 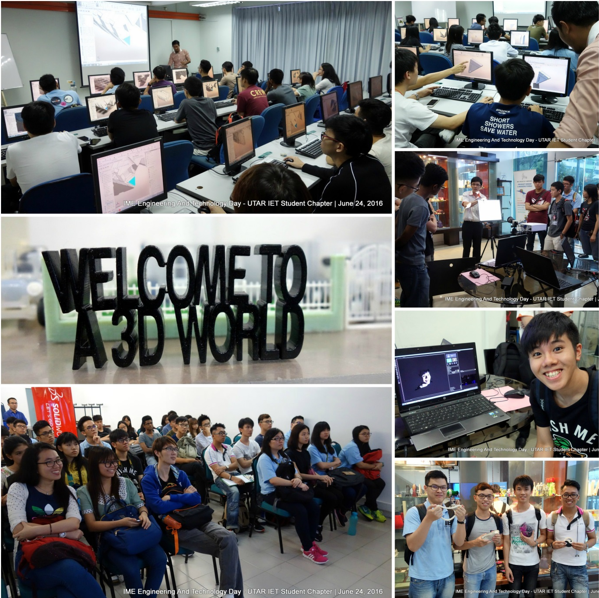 Through these workshops, they learned how to create assemblies and prepare models for 3D printing.